Jawun works closely with local Indigenous leaders to help guide and prioritise the allocation of secondees into the region. Di is a Yorta Yorta woman from Cummeragunja on the NSW/VIC border. Di’s great great grandfather is the late William Cooper, a champion of Aboriginal rights in the late 1880’s. Di became involved with Mingaletta in 2000, and has been a member since 2001, and became a Director in 2004. In 2005 Di was voted in as the chairperson and has continued in the role by community votes. Di works as a volunteer with other volunteers at Mingaletta, and is involved because of a strong belief of community values and the strength of standing together as one. 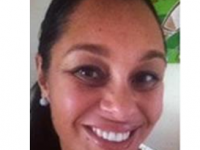 Di also works for the Central Coast Division of General Practice as the Aboriginal Health Manager. Di’s main concerns for her community include growing health problems in Elders and young people, and the lack of education leading to poor jobs and low incomes. Kate Kelleher is a Palawa Trowunna woman whose traditional country is in the North East of Tasmania. Moving to the Central Coast of NSW 23 years ago she now lives on the land of the Darkinyung people. A five month engagement as NACCHO CEO was an invaluable experience interfacing with the Aboriginal ‘industry’ of Government Departments, NGO’s, etc as well as the member network of 150 Aboriginal Community Controlled Health Organisations. This was a sobering experience of exposure to the inequities of life expectancy, chronic illness and social determinants affecting health and well being outcomes of Aboriginal and Torres Strait peoples. Having a long background in the service delivery of our nations welfare in the late 70’s through to the early 90’s Kate has a strong understanding of public policy, systemic issues and machinery of government. Kate has also been involved in the economic development space as an Aboriginal businesswoman and by participating in the Indigenous Chambers of Commerce, currently serving on the NSWICC Board. Working with Darkinjung LALC and Lendlease Indigenous participation under the APIC policy with the Gosford Hospital Redevelopment has given Kate the opportunity to appreciate both macro and grass roots impact of economic development for our mobs. Kate is now proudly contributing on the Barang Regional Alliance Board as Acting Chair. 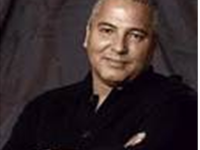 Kim began dancing with his mother, Margaret Walker AM, and his dancing career continued with the Aboriginal and Islander Dance Theatre (NAISDA Dance College) in 1976 graduating with an Associate Diploma in 1979. NAISDA was instrumental in Kim’s entry into the arts as a dancer and led to him joining Sydney Dance Company in 1980. In 1982 he was appointed a principal dancer and danced with the company from 1980 – 1990 during which he danced and performed many lead roles under the artistic direction of Graeme Murphy. During his time with Sydney Dance Company, Kim also studied at a number of other companies including the Alvin Ailey School in New York. Kim’s chorographic career started with the Sydney Dance Company where he created several new works. As a freelance choreographer and director Kim has worked with many major companies and directors in Australia including Opera Australia, Melbourne and Sydney Theatre Company, Richard Wherrett, Neil Armfield, Wayne Harrison and Roger Hodegman. Kim has also done extensive choreographic work for television commercials, musicals, corporate and charity launches and music film clips. In 1998 Kim was appointed as Artistic Director of the Flying Fruit Fly Circus and has not only created a number of new and innovative works but also toured the company both nationally and overseas to great acclaim. Kim has served as a member of the Arts NSW on number of Boards, on the HotHouse Artistic Directorate and the Theatre Board of the Australia Council for the Arts. Kim was also the individual recipient of the Sidney Myer individual award in 1991. Currently Kim sits on the boards of Ausdance NSW, Barang Regional Alliance, and The Arthouse. In 2008 Kim was took up the position as CEO of NAISDA Dance College Australia’s National Indigenous Dance College. In his tenure at NAISDA Kim has brought in a number of creative and innovative training concepts, oversee the growth of the premises student cohort and corporate governance. Kim has served as a member of the NSW Ministry for Dance, on the HotHouse Artistic Directorate and the Theatre Board of the Australia Council for the Arts. In late 2007 Kim was appointed as the Executive Director/Head of Dance of NAISDA Australia’s National Indigenous Dance College. Rowena Lawrie is an Aboriginal women who lives and was raised on Darkinyung country, Central Coast NSW. She proudly carries three Aboriginal nations and a Scottish heritage. Her cultural connections are Longreach to Leichardt River (Gulf Country), Wakka Wakka and Wiradjuri nations. Rowena is an entrepreneur with an altruistic spirit, a commitment to human rights and social justice. As the Director of Yamurrah, she created a unique service that is trauma informed and founded on Aboriginal worldviews. She has over 20 years clinical experience as a social worker, and has worked across law, health and human rights sectors. Rowena believes her proudest moments is raising children. 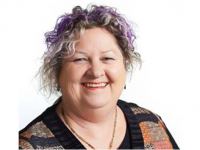 Rowena is a well-known educator and facilitator, working across a number of sectors, including health, education, child protection and runs a number of independent workshops including cultural safety, Aboriginal healing and counselling, and child protection matters. Rowena is also an accredited trainer and is involved in a number of courses. Rowena practices from an Aboriginal healing framework, which is informed by Aboriginal worldviews and clinical codes. As a counsellor, she volunteers her services to community members in particular to children. She is an active member of her local community and in a voluntary capacity is the Chairperson of Gudjagang Ngara Li-dhi (GNL). 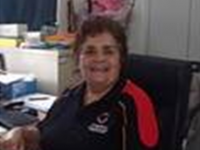 CEO, Yerin Eleanor Duncan Aboriginal Health Services Ltd.
Belinda is a proud Krueinji/Wirdajuri woman, however, for the past 38 years she has lived on Darkinjung country. Belinda’s experience includes 10 years with NSW Department of Community Services, 4 years with NSW Department of Education as a fully qualified classroom teacher. Belinda’s strengths are building relationships with government and non-government agencies on behalf of the community, based on respect and a commitment to protecting the rights of the Aboriginal community. 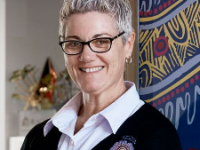 Belinda was appointed the CEO of Yerin Eleanor Duncan Aboriginal Health Service Ltd in August 2015, bringing high level strategic and people leadership skills with formal qualifications in Bachelor of Teaching, Advance Diploma in Community Sector Management, Member Australian Institute of Company Directors. Belinda is also a Board Director of the Central Coast Local Health District.